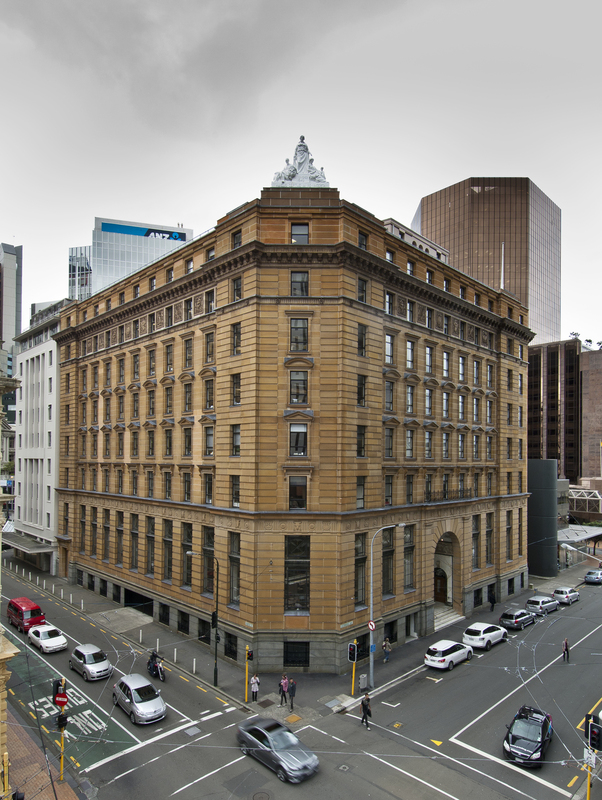 Built more than 80 years ago, the Sydney sandstone AMP Society Building is one of Wellington’s most significant heritage buildings, listed with both the NZHPT and the Wellington City Council. 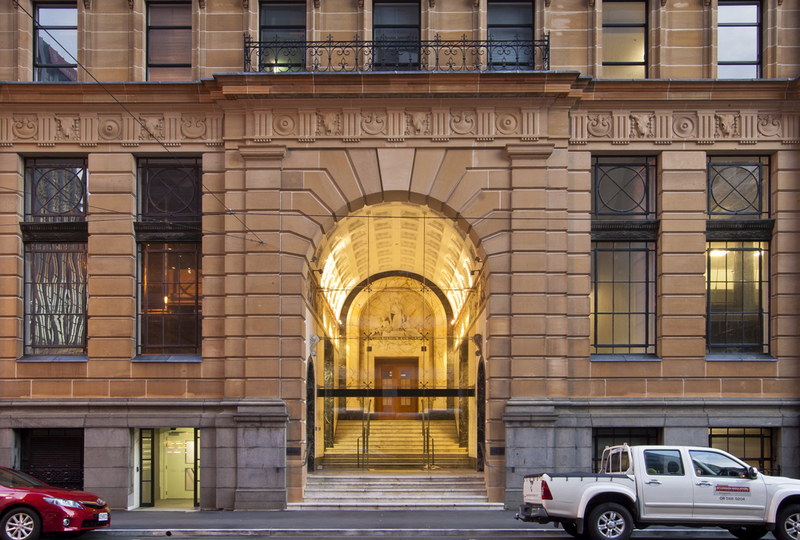 Constructed in 1928, the building façade features Sydney Sandstone, terra cotta, and granite attached to a concrete-encased steel frame. S&T has been involved in a number of projects to preserve and enhance this building. S&T analysed the condition of the façade, the causes of its degeneration, problems associated with the refurbishment. The work has included analysis of the sandstone in Australia and sourcing a suitable quarry for replacement of the stone. This project is was completed in October, 2011. This project included the refurbishment of the internal building ready for new tenants. 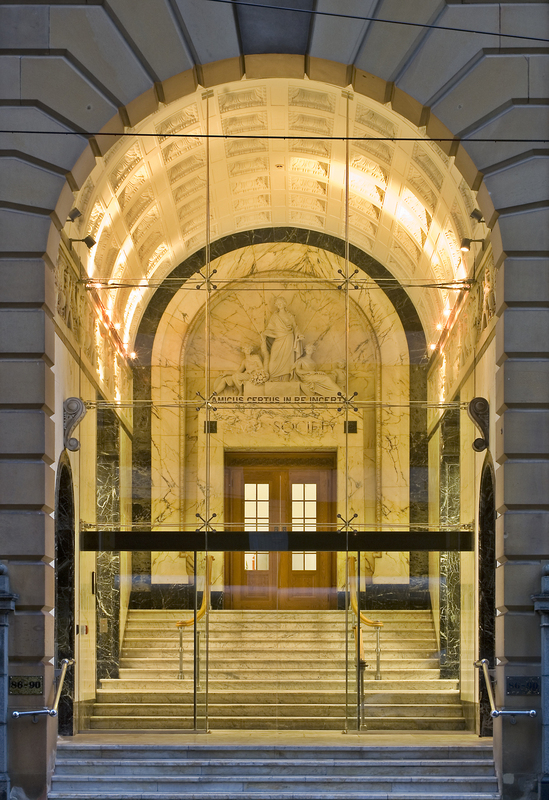 The work included a structural check of the building, new accessible entrance, main side entrances refurbished, new lifts and refurbishment of the stairs. This work had to be conducted around tenants requirements. 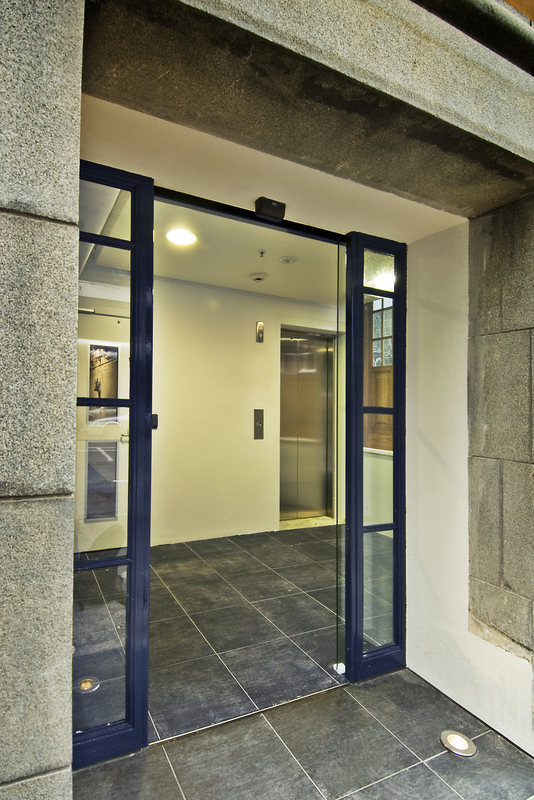 As with the entrance screen the floor is a high-tech structure that contrasts from the existing. The new floors are completely hung from the existing structure above. The ground floor itself is left untouched. We inserted a mezzanine floor into the existing double height Heritage listed ground floor space while the rest of the building was fully tenanted. It creates significant extra floor space and carries the services required for a modern office environment, while allowing us to pare back previous awkward additions that were unsympathetic to the Heritage properties of the space. As a result of the work so far, the beautiful coffered vaulted ceiling has been revealed, as have the decorative marble friezes, floor and oak panelled doors. On the inside of the building, a polished terrazzo floor discovered underneath the stairwell carpet is once again a feature. Meanwhile the pièce de résistance is a vast glass screen that has replaced an unsympathetic 1980s’ addition half-way up the entrance stairs, providing visitors with an uninterrupted view of the lovely entrance interior while ensuring security requirements are met. 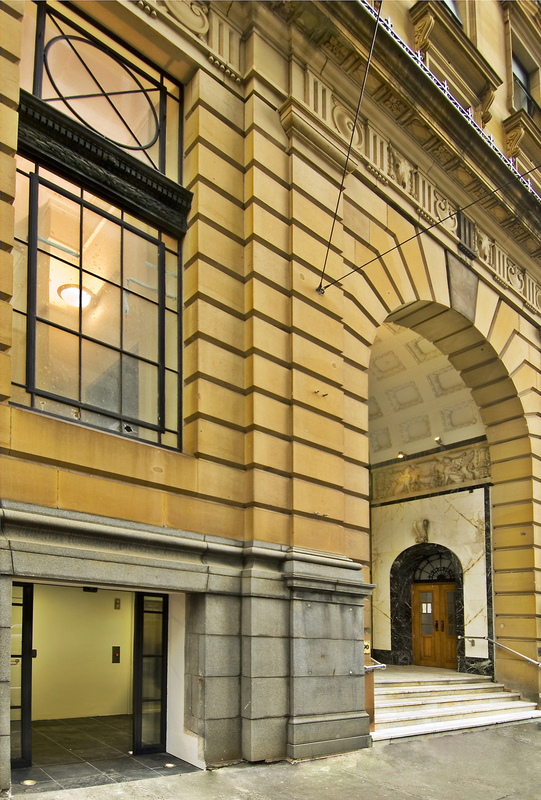 The entrance now appears to be one entity and is a very effective combination of the historic and the contemporary, allowing passers-by to fully appreciate this glorious space.